Rent villas and apartments in La Llosa, Spain with private pools. Book affordable holiday rentals that are near a beach and golf course. This 3 bedroom villa with swimming pool is located in La Llosa and sleeps 8 people. It has WiFi, air conditioning and a garden. The villa is within walking distance of a beach. This 3 bedroom villa with swimming pool is located in La Llosa and sleeps 8 people. It has WiFi, air conditioning and barbeque facilities. The villa is within walking distance of a beach. This 3 bedroom villa with swimming pool is located in La Llosa and sleeps 7 people. It has a garden, barbeque facilities and parking nearby. The villa is within walking distance of a beach. This 2 bedroom villa with private pool is located in La Llosa and sleeps 4 people. It has WiFi, air conditioning and a garden. The villa is within walking distance of a beach. This 3 bedroom villa with swimming pool is located in La Llosa and sleeps 6 people. It has WiFi, air conditioning and barbeque facilities. The villa is within walking distance of a beach. This 3 bedroom villa with swimming pool is located in La Llosa and sleeps 6 people. It has WiFi, air conditioning and a garden. The villa is within walking distance of a beach. This 4 bedroom villa with swimming pool is located in La Llosa and sleeps 8 people. It has WiFi, a garden and barbeque facilities. The villa is within walking distance of a beach. This 5 bedroom villa is located in La Llosa and sleeps 9 people. It has WiFi, a garden and barbeque facilities. The villa is within walking distance of a beach. This 3 bedroom villa with swimming pool is located in La Llosa and sleeps 6 people. It has air conditioning, a garden and barbeque facilities. The villa is within walking distance of a beach. This 2 bedroom villa is located in La Llosa and sleeps 4 people. It has WiFi, air conditioning and a garden. The villa is within walking distance of a beach. This 2 bedroom villa with swimming pool is located in La Llosa and sleeps 6 people. It has a garden, barbeque facilities and parking nearby. The villa is within walking distance of a beach. This 2 bedroom villa with swimming pool is located in La Llosa and sleeps 4 people. It has air conditioning. The villa is within walking distance of a beach. This 2 bedroom apartment with swimming pool is located in La Llosa and sleeps 6 people. It has a garden. The apartment is within walking distance of a beach. This 3 bedroom villa with swimming pool is located in La Llosa and sleeps 6 people. It has a garden, parking nearby and a gym. The villa is within walking distance of a beach. This 3 bedroom villa with swimming pool is located in La Llosa and sleeps 8 people. It has air conditioning, a garden and parking nearby. The villa is within walking distance of a beach. 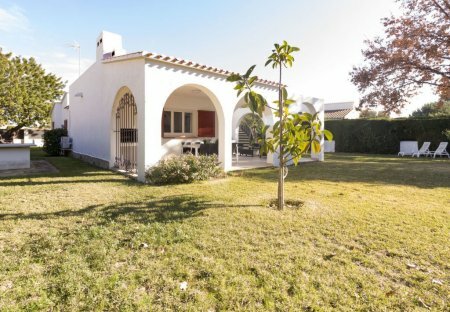 This 2 bedroom house with swimming pool is located in La Llosa and sleeps 6 people. It has WiFi, a garden and barbeque facilities. 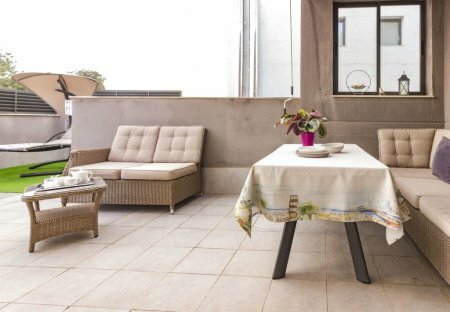 This 2 bedroom apartment is located in La Llosa and sleeps 5 people. The apartment is within walking distance of a beach. Wooden bungalow on a small, peaceful camp ground. This 2 bedroom house with swimming pool is located in La Llosa and sleeps 4 people. It has a garden, barbeque facilities and air conditioning.